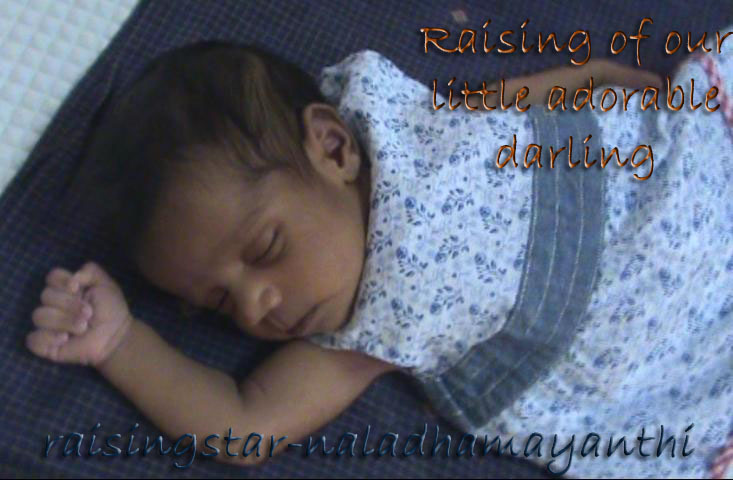 Till now the baby was listening to her grand parents lullaby, Yes in Tamil with folk effects. Now its time to listen lullaby in English, Dhithu sang for baby in her sweet voice, and of course baby was listening and was trying to sleep. Also Dhithu wrote and gave this lullaby to baby's appuchi (grandpa) and I expect, he will be singing this to baby one day!! Thanks Dhithu for this beautiful lullaby!! !